My friend brought to my attention this stunning collection of images by artist-geologist Ron Blakely, courtesy of this article in The Atlantic. The first shows how drastically North America has changed from 510 million years ago until the present day (which is in the bottom right corner). I tried to follow the location of Connecticut as I went backwards in time, but I lost it shortly after Europe smashed into the east coast of America. The Paleotectonic Evolution of North America, by Ron Blakey (via The Atlantic). It’s fascinating to see what seismic changes in geography occur even over the shortest periods of time. For example, looking at the three bottom panels, one sees the huge effect that the last Ice Age had on the continent. By the end of the Ice Age, Greenland had separated from Canada, the Great Lakes and Hudson Bay were formed, and the land bridge between Siberia and Alaska was severed. The farther back one goes, the more disorienting the continent becomes. Just look at that massive inland sea one row up from the bottom! The last remnant of that now is the Great Salt Lake in Utah, which explains how that Lake got its characteristic saltiness. Going back even further, we see continents join together and split apart again, forming new islands and closing familiar seas. Blakey’s area of focus is North America, but he doesn’t stop there. He also has a series of images showing how the entire world changed from 600 million years ago to today. The last panel, showing the earth from 260 million to 600 million years ago, is below. But note that this is still not the beginning of the earth’s 4 billion-year-old story. The Evolution of Planet Earth, 260 million to 600 million years ago, by Ron Blakey (via The Atlantic). The Article has many more images of tectonic transformation, as does Ron Blakey’s website. He even has predictions for how the world will look 75 million years in the future, although it’s all very speculative. Thinking so far ahead in the future can make one’s head spin. Let’s not forget to live in the moment, folks! The First Six Months: Which Posts are Most Popular? The blog is officially over six months old. Yipee! We’ve come a long way from the very first post on March 17, 2013. There have been 53 posts (including this one), 84 comments, and 3,958 pageviews. The growth over time has been tremendous, especially considering what a geeky niche the blog occupies. I’ve also seen quite a bit of fluctuation between posts, with the popularity of some topics trouncing the popularity of others. Now is a good time to look back on the past six months and see which posts have been the most successful, which will give me a good idea where to direct my focus in the future. Below are the top 15 most viewed pages, not counting the Home Page, during the life of the blog. It may not be the most accurate measure, since visitors can view an individual post from the Home Page without clicking the link for the post, but it does give a general idea of relative popularity. All Time Top Posts on Petrosjordan.wordpress.com. 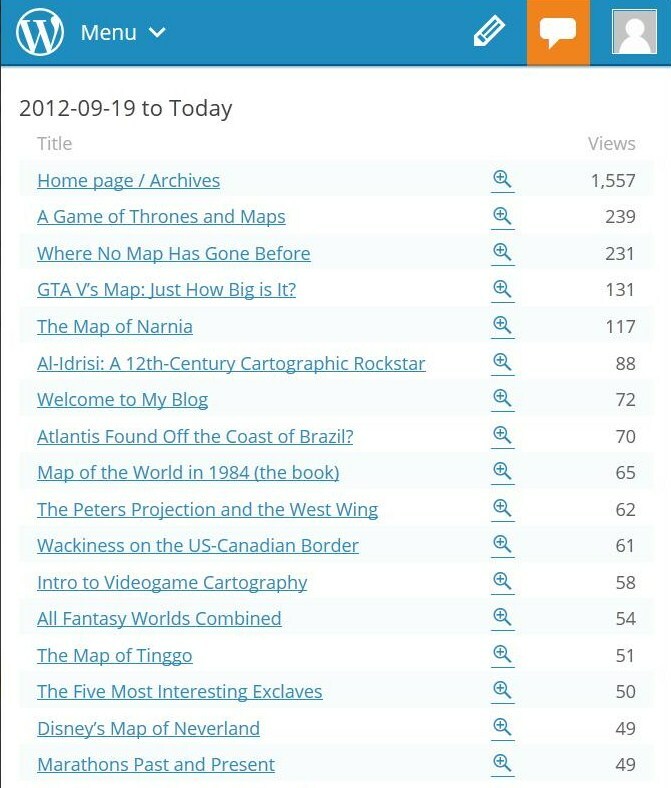 Immediately, the posts based on Game of Thrones and Star Trek stand out, with 239 and 231 total views, respectively. Following that, I am a little surprised to see that the #3 post of all time is from just one week ago, regarding GTA V. But the game launched on Tuesday, and has actually been the fastest-selling video game of all time (earning $800 million in 24 hours), so this explains its popularity at the moment which is sure to dip as time goes on. Rounding out the top 5 are the Map of Narnia and my tribute to obscure cartographer Al-Idrisi, which I did not expect to see so high up. I guess I underestimated his rockstar appeal! 1. People love fantasy and sci-fi. Especially when it’s current. Game of Thrones had another massively popular season this spring, and Star Trek had a movie come out in May. Narnia was a very popular post even though there have not been any recent movie installments, because it still a widely read and watched fantasy series. The map from 1984 came in at number 8, showing that people are still very interested in George Orwell’s dystopian novel from 1949. The popularity of these sci-fi and fantasy posts encourages me to visit even more fictional worlds in the future. 2. People love videogames, especially current ones. 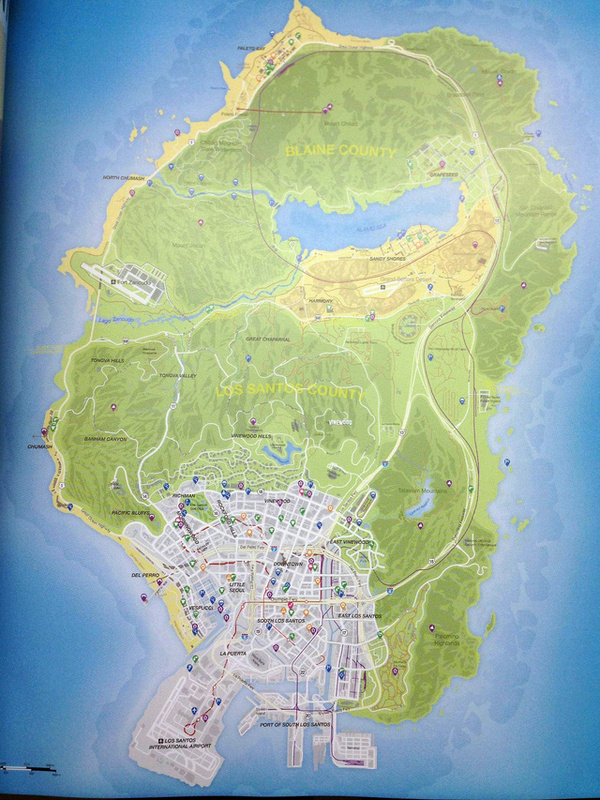 GTA V has been a stunningly popular game, and readers were clamoring to see the map for it. But Intro to Videogame Cartography, about Super Mario World, was also somewhat popular even though that game came out 12 years ago. It just goes to show that videogames in general are an increasingly popular medium. 3. People love Myths and Legends. The number 7 post was about the location of Atlantis, that mythological island supposedly located in the Mediterranean Sea, or Atlantic Ocean, or any number of other places around the world. While major current pop culture phenomena from Game of Thrones to Grand Theft Auto generate buzz and pageviews, it’s fascinating that age-old myths like Atlantis still continue to drive search engine traffic. 4. 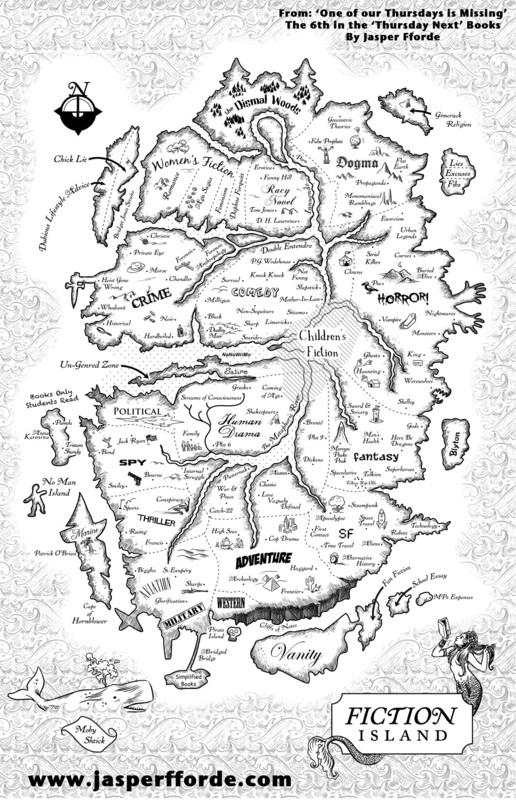 To a lesser extent, people love interesting historical or political maps if presented in an interesting way. A few posts in the Top 15 concern maps in a historical or political context, such as map projections (#9), border irregularities (#10), and the geographical curiosity of exclaves (#14). I still wonder why the post on Al-Idrisi’s 12th century map of the world was so much more popular than all other historical maps. 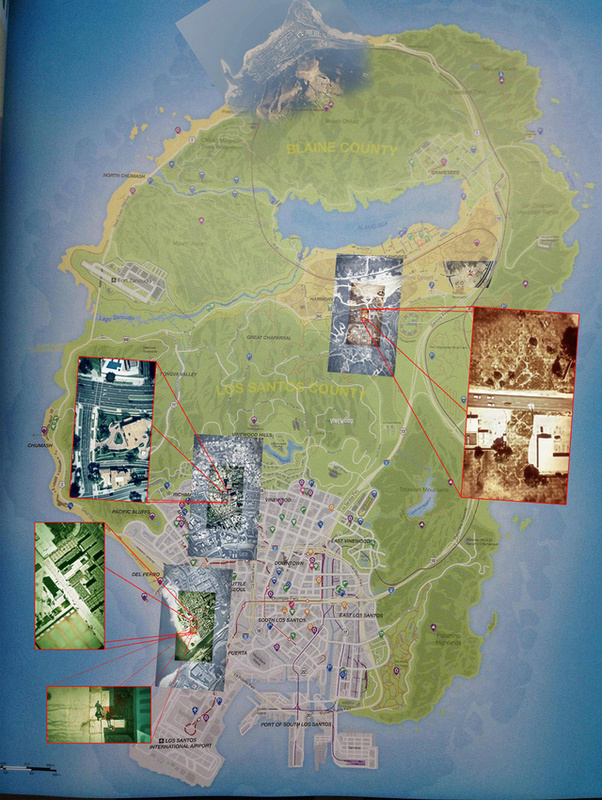 Could it be due to the unusual look of the map? The branding of Al-Idrisi as a rockstar? It comes down to a question of whether the topic itself is interesting or whether it was presented in an interesting way. Or, possibly, both. 5. Writing Topics are not as popular, but still generate interest. My posts regarding the writing process (such as Storymapping) or the progress of my novel (such as A Description of the World of Tinggo) have not garnered as many pageviews, and only one of them cracked the top 15. 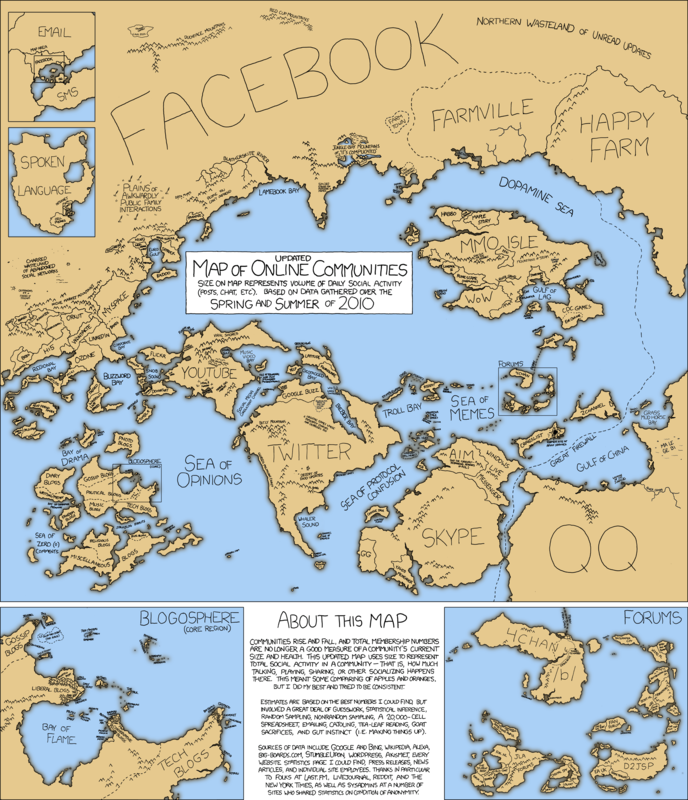 But they do encourage helpful comments and new followers, and their audience is slightly different from posts about maps from popular media or history. I hope I can continue to tap into both audiences and look into ways to blend these differents kinds of posts together in the future. Please feel free to leave a comment if there is a topic you want me to spend more time on. And thank you all for all the comments, follows, and likes over these past six months! Let’s keep the momentum going! It is hard to imagine that a mere 200 years ago, Australia was still basically a blank spot on the map, mostly unexplored and uncolonized by Europeans. But the below map, created in 1814 by Scottish cartographer John Thomson, shows this quite clearly. The outline of Australia, which had finally been circumnavigated just ten years before by Matthew Flinders, encloses a vastly empty territory labeled New Holland in the West and New South Wales in the East. 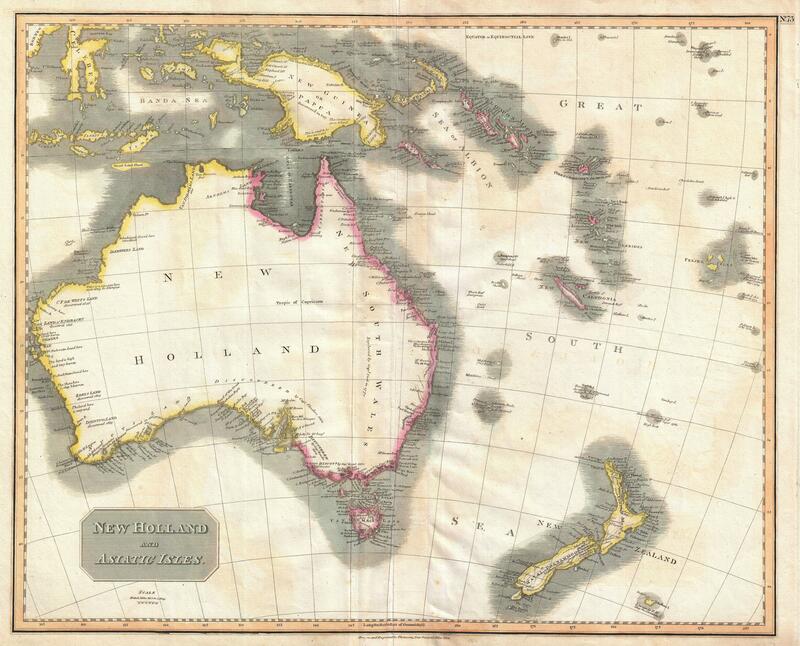 Australia would not become the official name for the continent until 1824. Dutch and English explorers had surveyed different sections of the Australian coast starting in the 17th century. At first, some believed that Australia was a peninsula connected to Asia, because they had only seen the Western coast. In 1770, though, the Englishman James Cook became the first European to reach the Eastern shore. Following this, Matthew Flinders circumnavigated the continent and confirmed it to be an island. The map above is interesting in that it does not just show Australia’s geographical features and place names, but it includes labels describing which explorers found which areas. It also offers helpful descriptions such as “the land here is very arid” and “high trees, natives seen.” It’s almost like a guidebook for future explorers. The English would gradually make settlements along the coasts, mostly in the South-Eastern quarter, as well as in the North. But throughout the early-mid 19th century, the interior of the continent would remain largely mysterious (though not to the Aboriginal Australians who resided there). Various expeditions were led across the continent over the years, but the oppressive desert heat and lack of prior knowledge of the area made travel difficult. One such expedition from Melbourne to the Gulf of Carpentaria, led by Robert O’Hara Burke and William John Willis in 1860, was an infamous disaster. The eye of the curious reader may also pass over the neighboring islands of the South Pacific and see many unfamiliar names. It seems like the English, Dutch, and French explorers found a “new” everything down here: New Zealand, New Caledonia, New Hebrides, New Georgia, New Ireland, New Britain, etc. Some of these have been changed; New Hebrides, named after a group of islands off the Northwest coast of Scotland, became independent and adopted the name Vanuatu. But New Caledonia, a long, narrow island north of New Zealand, is still a special collectivity of France (though it may change its name if it chooses independence in a referendum coming up in 2014). South of Australia is the island we commonly call Tasmania, home of the Tasmanian devil character of Disney cartoon fame. But on this map, it’s called “Van Diemen’s Land”. It was named this after the governor of the Dutch East Indies who sent Abel Tasman to explore the area. In 1856, the name was changed to Tasmania to finally honor the man who actually went there, rather than the governor who sent him. Another reason for the change was the fact that residents of the island were known as Vandemonians, which sounds a lot like demon, reminding people of the fact that the island used to be a penal colony. Yet another example of marketing considerations going into the naming of a spot on the map. From the blog Now York City, here is a hand-colored Map of New York City from 1846. 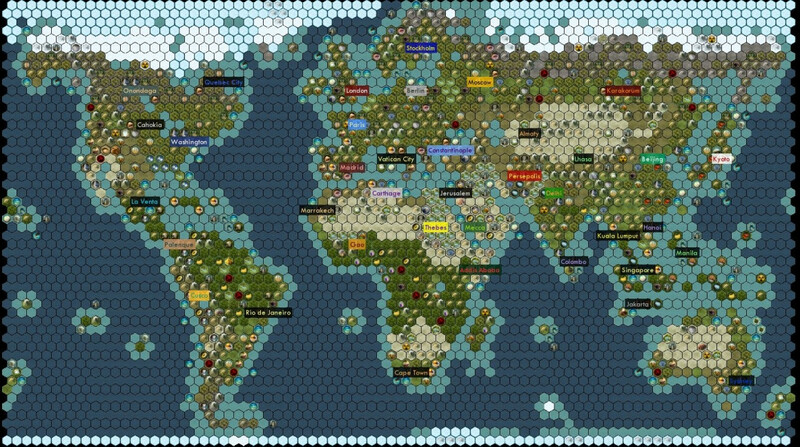 The Civilization computer game series, which has had five main installments and countless other expansions and spin-offs over the course of two decades, is both incredibly ambitious and highly addictive, especially for fans of world history and cartography. 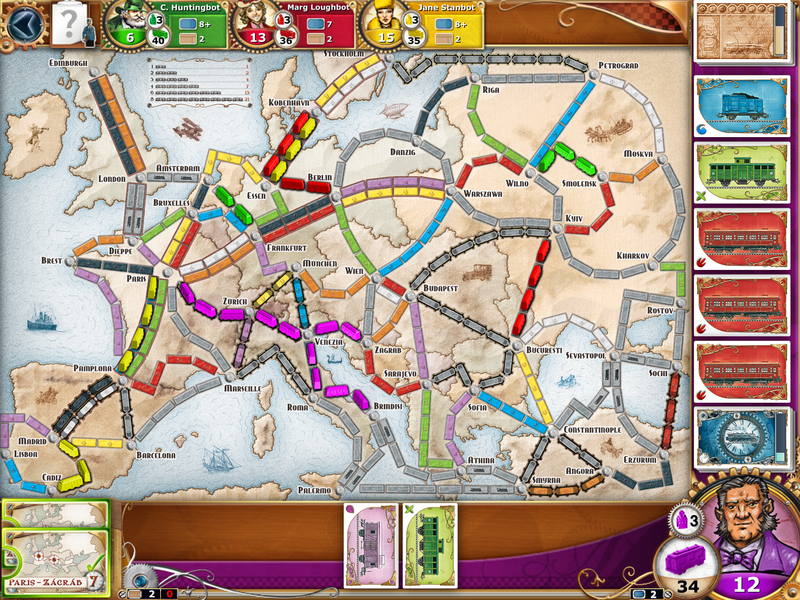 In the game, the player takes on the role of one of the major civilizations in history, leading that nation from the ancient era to modern times. The player starts with one city, and expands by building more or conquering the cities of other civilizations. War, trade, exploration, scientific advancement, and cultural influence are just some of the critical components of the game, which requires a great deal of practice and research to truly master all of the complex mechanics of gameplay. One beats the game by covering a significant portion of the world’s territory, destroying every other civilization, attaining cultural supremacy, winning a diplomatic vote among all nations, or being the first civilization to launch a spaceship to colonize other worlds. There is high attention to detail in this map. Deserts, mountains, rainforests, tundra, and other topographical features are placed in the positions where they appear in real life. The creator also placed key strategic or economic resources such as oil, cotton, and bananas in the areas where they are predominantly found in our world. This ensures, for example, that whoever controls the Middle East will have a surplus of oil for building late-game weaponry and trading with others for a profit. The other salient feature of the map is the location of major cities, which represent the capitals of civilizations as well as city-states. Some of these are historical, and some are modern. For example, Rio de Janeiro represents the Brazilian civilization, and Cusco represents the Inca, even though these two civilizations never existed together at the same time in history. The map contains 21 civilizations and 17 city-states, for 38 total, but there are many many more potential civilizations that can be used in the game. Placing them all on the map, however, would be impossible, especially since some of them have capital cities which share the same space (for example, one could not place both Rome and Vatican City in Italy at the same time, as Vatican City is inside of Rome). The level of freedom and creativity allowed by Civilization V and its World Builder program give players the chance to create the world in their own manner and direct the course of human history themselves. One could, for example, lead the Inca to conquer Europe or see what would happen if the land bridge between Russia and Alaska stayed in place after the end of the last Ice Age. The possibilities are nearly endless!